It's hot, yes, but with the sunny weather always comes the rain. When it's a bit cooler during the summer, this look is the perfect go to. 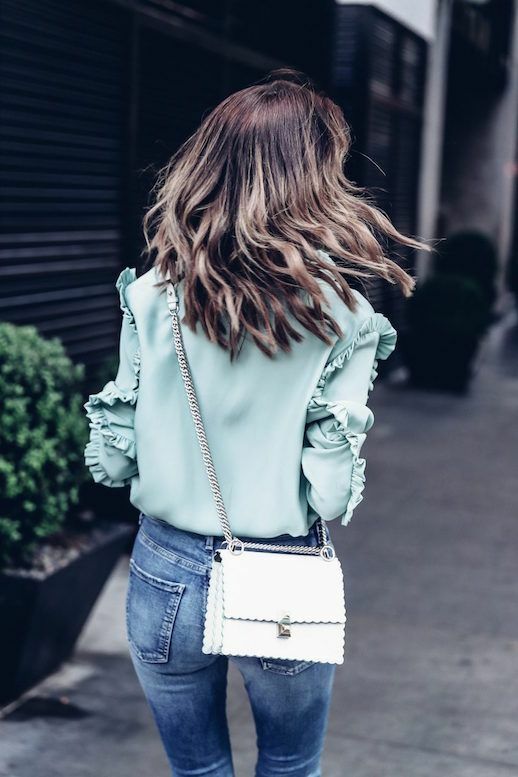 Pair a mint colored silk blouse (a little ruffle-sleeve detail never hurt anybody) with a white scalloped bag, straight leg jeans and wrap ankle heels to complete this enviable ensemble.